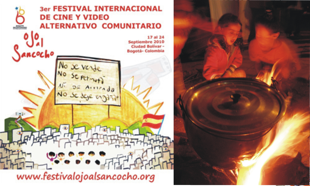 Posted by admin on September 9, 2010; This entry is filed under Bogotà, Ciudad Bolivar, Colombia, Communicating, Design Role Analysis, Ojo al Sancocho > Bogotà > Colombia, Ojo al Sancocho: Film Festival. 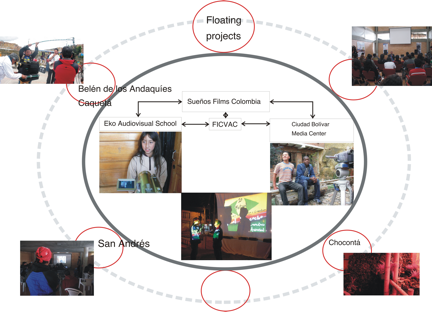 The development of a downloadable manual on the festival’s website has been proposed as a way to incentivize participation in the EKO-Audiovisual School and the Ciudad Bolívar Media Center and to encourage residents to possibly compete in the Ojo al Sancocho Film Festival. The elaboration of this material is a work in process. The contents of the manual will range from learning about basic audiovisual information to creating a film and exhibiting it at the festival. This will require the creation of a data bank of entries, stories upon which activities can be based and developed during the festival. The contents come from information supplied by the regular workshops in EKO or the Media Center. It is important to strengthen the interactions that link the three local projects in order to guarantee the project’s sustainability. The manual has to be a collective construction, members of the community are invited to participate in its configuration, this time the camera is off the scene. Through the festival’s website, people access to the “manual project” link, and send their ideas, stories, images, drawings…about a specific theme that changes every year as the festival’s theme changes. It will show the aesthetics of the territory by the exaltation of every day scenes of Ciudad Bolívar, it could give us more information about the practices inside the community. 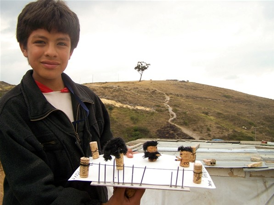 The aim of the manual besides a communicational tool, is to promote an active participation of the community, let them be part not only as a public or receivers but as a propositives agents. The manual also function as a portfolio. For members of the community who wants to know about the benefits and contents and external entities interested in the functioning and articulation of projects. Making a portfolio allow designers to understand the structure of the framework project by identifying implicit categories in each local project.